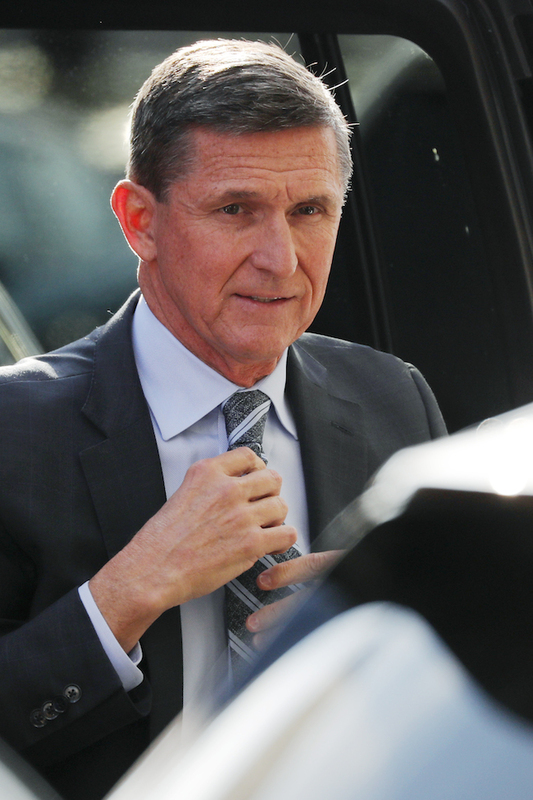 Former national security adviser Michael Flynn has been charged with making false statements to the FBI, Special Counsel Robert Mueller revealed in court documents filed on Friday. 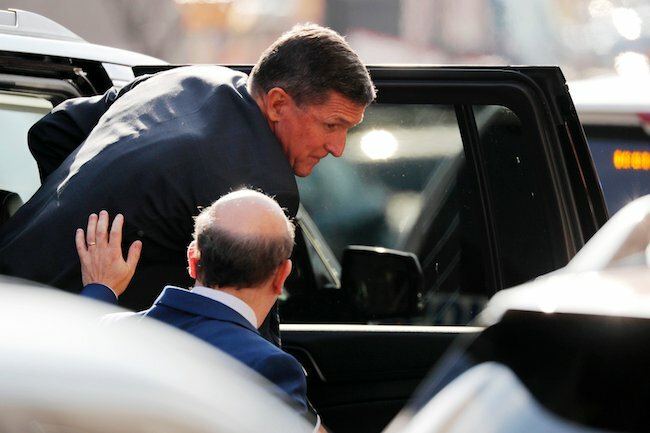 Flynn, a retired lieutenant general, pleaded guilty to the charges at a plea hearing in Washington, D.C. on Friday morning. According to the charging document against Flynn, he “willfully and knowingly” lied to FBI agents during a Jan. 24 interview in which he was asked about his conversations with then-Russian Ambassador Sergey Kislyak. The Obama administration had that day issued a new round of sanctions against Russia for hacking into Democrats’ emails during the presidential campaign. Flynn also misrepresented a conversation he had with Kislyak on Dec. 22, 2016 about a vote on a United Nations Security Council resolution, Mueller charges. Flynn initially told FBI agents that he did not ask Kislyak to delay a vote on a resolution, and that Kislyak did not describe the Russian government’s response to the request. The resolution in question sought to condemn Israeli settlements in the West Bank. Russian diplomats did attempt to delay a vote on the resolution but eventually supported it. The U.S. controversially abstained from the vote instead of siding against it. The New York Times reported on Friday that Mueller’s team has emails showing that Flynn agreed to kill the vote on the UN resolution. According to The Times, Israeli Prime Minister Benjamin Netanyahu lobbied the Trump transition team for help quashing the vote. Flynn acknowledged in a statement issued through his attorney on Friday that he is cooperating with Mueller’s prosecutors. “I recognize that the actions I acknowledged in court today were wrong, and, through my faith in God, I am working to set things right. My guilty plea and agreement to cooperate with the Special Counsel’s Office reflect a decision I made in the best interests of my family and of our country,” he said. Ty Cobb, the White House special counsel, downplayed Flynn’s plea agreement, noting that Flynn was ousted by the Trump administration over his claims about his conversations with Kislyak. “The false statements involved mirror the false statements to White House officials which resulted in his resignation in February of this year,” said Cobb, who slyly noted that Flynn served in the Obama administration. It is not clear whether Flynn will face any other charges from Mueller. 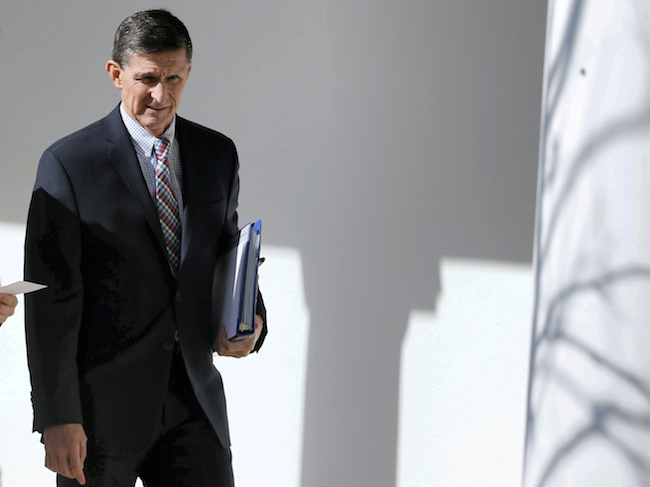 Mueller’s team of investigators has been looking into Flynn’s consulting work, including for the Turkish government. Mueller’s investigators have interviewed numerous witnesses with knowledge of Flynn’s consulting work for a Turkish businessman with ties to Ankara. Grand jury proceedings in that investigation were recently delayed, sparking speculation that Flynn was working on a deal with Mueller. It has long been known that Flynn misled the FBI about his interactions with Kislyak. In February, just after he was fired as national security adviser, CNN reported that Flynn changed his story about his conversations with Kislyak but that the FBI did not plan to pursue charges in the case. CNN’s government sources said that it was not believed that Flynn intentionally misled the FBI. Mueller’s decision to reverse course on the Flynn case shows how aggressively he is handling the investigation. George Papadopoulos, a former Trump campaign adviser, accepted a plea deal in October for lying to the FBI about his interactions with Russians during the campaign. Papadopoulos lied to FBI agents in an interview conducted on Jan. 26, two days after FBI agents met with Flynn. He was arrested in July and pleaded guilty to lying to the FBI in October. As part of the deal he has been cooperating with the FBI and Mueller. Mueller has also issued indictments against former campaign chairman Paul Manafort and his associate, Rick Gates. The pair are accused of laundering money during their work for a Ukrainian political party with ties to the Russian government. Judge Rudolph Contreras, an Obama appointee, will oversee Flynn’s plea hearing. The Mueller prosecutors handling the case are Brandon Van Grack and Zainab Ahmad. Van Grack is on loan to Mueller’s team from the Justice Department’s national security division. Ahmad typically handles terrorism cases.